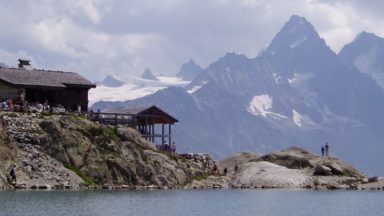 A guidebook for the Tour of the Vanoise, a 10-12 day trek in the mountains between Mont Blanc and the Écrins, with suggestions for four additional multi-day tours in the region. The 150km Tour is described in 11 easy day stages counter-clockwise from Modane in the valley of Arc. A great introductory route to Alpine trekking. The 150km Tour of the Vanoise circuit of the national park is a fantastic hut-to-hut journey through the heart of one of France’s finest mountain regions and a perfect introduction to Alpine trekking. The circuit explores the very best of the Vanoise National Park – a wonderland of 3000m peaks, glaciers, lakes, waterfalls and meadows full of flowers – allowing the inquisitive walker plenty of opportunities to study marmot, chamois and ibex along the way. 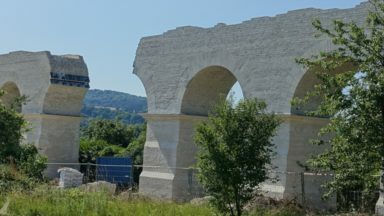 Describing the Tour of the Vanoise in a counter-clockwise direction, beginning and ending at Modane in the valley of the Arc, this guidebook contains all the information trekkers will need on a day-by-day basis. As the 150km route takes between 10 and 12 days to walk, it fits comfortably within a fortnight’s holiday, and numerous strategically placed huts enable trekkers to travel light and stay in simple comfort at the end of each stage. 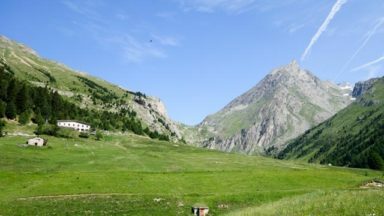 Although the route is described in 11 stages, each of which equates to a days walking of unequal length, it is not to say that this is the only way to trek the Tour of the Vanoise. It would be possible to complete the tour in 10 days, while longer options are feasible in order to visit outlying or neighbouring valleys. 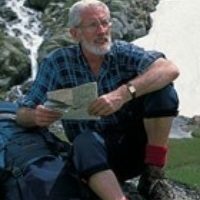 Since several overnight possibilities exist on a number of stages, it would be possible to devise a variety of itineraries to suit the ambition, inclination and time available of each trekker. Beginning at Modane in the Maurienne (the valley of l’Arc), the Tour of the Vanoise is tackled in a counter-clockwise direction, and as far as Tignes-le-Lac (stage 8) it follows the course of the GR5. The GR55 is then joined at the national park southeast of Tignes-le-Lac. 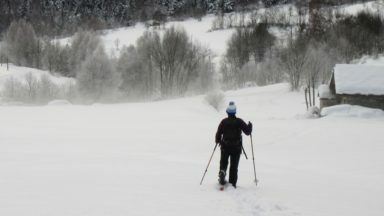 Although the route described in this guidebook makes a multi-day journey through a high Alpine environment, no technical skills are demanded of the trekker tackling the Tour of the Vanoise. 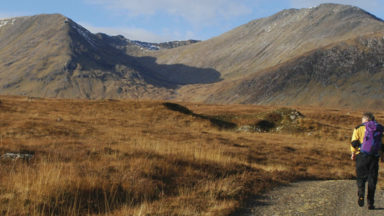 However, there are a few very brief exposed sections, usually safeguarded with a fixed cable handrail, that could be unnerving for walkers unused to precipitous drops, and in such instances extra caution may be required. The Carte de Randonnée hiking map, A3 Vanoise, published by Rando Éditions at 1:50,000, should be more than adequate for trekkers walking the Tour of the Vanoise. The basic cartography by the IGN (Institut Géographique National) is excellent, as is the artistic representation of glacier, ridge and woodland. Major walking routes, such as the GR5 and GR55, are boldly outlined in red, while national park boundaries are delineated in green. Refuges, gîtes and official campsites are also clearly marked. The map has a 2km square grid and is GPS compatible, and below the key a number of useful telephone numbers are given. The Park also publishes its own 1:60,000 map, available for €10 from its website: www.vanoise.com. For greater detail, the IGN 1:25,000 series is excellent. For the tour described in this guide, you will need maps 3534OT and 3633ET. Due to avalanche damage, a section of the route between Val d’Isère and the Pas de la Tovière (described in paragraph 4, page 97) has been re-routed. It is uncertain whether this is temporary or a permanent re-routing, but at the time of writing walkers are advised that after the electricity building you now follow the stream to the next village from where a steeper path joins the original waymarked route. With thanks to reader, Robyn Elliott for this information. 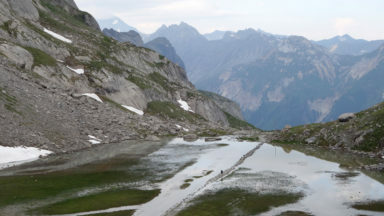 Please note that wild camping is not allowed anywhere within the Vanoise National Park, so the only accommodation option on the Tour of the Vanoise is in refuges. 'Cicerone Press and Kev Reynolds have found a winning format that must surely entice walkers into Alpine territory. The Tour of the Vanoise was our first Alpine route and the new guidebook is a welcome update to the 1996 edition. I loved the Vanoise. It explores the very best of this lovely region giving a real taste of Alpine scenery.